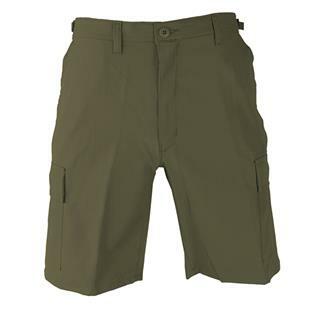 Propper BDU shorts come with six pockets, four of which have button flaps. 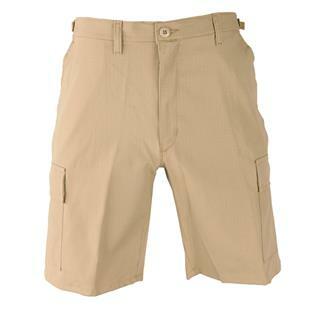 The 4â€³ waistband is adjustable with four bar tacks. 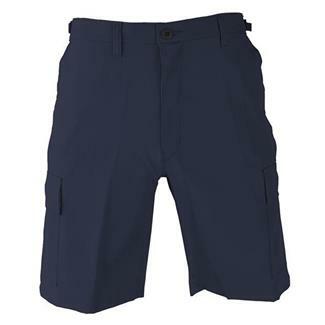 These shorts also feature fused pocket flaps, drain holes in the Bellows pockets and felled inseams, outseams and seat seams. 10â€³ Inseam. 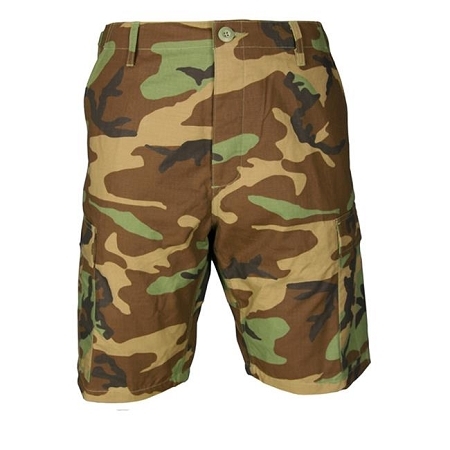 Tactical uniform fabrics must be comfortable, durable and have excellent color integrity. To achieve this criteria, Propper is proud to provide Battle Rip. This is an all-season weight, 65% polyester / 35% cotton fabric manufactured in a ripstop weave. Battle Rip is our fabric of choice for the public safety community. Available in Black, Dark Navy, Khaki, Olive, Sheriffâ€™s Brown, MultiCam colors only. This is a lighter weight cloth in a ripstop weave that breathes well and is initially durable. Consistent with other cotton fabrics, the color will fade quickly, and over time the cotton fibers will lose their strength under industrial wear and laundering. If color integrity is an important end-user expectation, please do not choose this cloth. Returns on account of color loss are not available. Available in Black, Khaki, Dark Navy, Olive, Woodland Camo colors only.